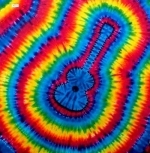 Get groovy with tie dye! Join us on Town Hill, weather permitting (Storyhour/craft room if the weather does not cooperate). Please bring one plain white cotton shirt (or socks, or bandana), all other supplies provided. Limit to one item per person, please! Capacity: 11 of 20 spaces available.